Roma have announced they will donate more than half a million euros to an initiative set up to help refugees across the world. Roma president Jim Pallotta has set up a fund called 'Football Cares', which will raise money for charities helping those affected by the refugee crisis. The Serie A club has made an initial donation of 575,000 euros (£418,000). 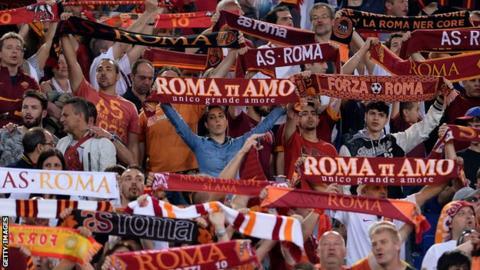 "After seeing the images coming out of Europe and the Middle East, we felt AS Roma had to do more," Pallotta said. "We welcome that challenge and responsibility." Last week, German club Bayern Munich announced they would set up a 'training camp' to help refugees and donate £730,000 to refugee causes. The International Olympic Committee also announced a £1.3m emergency fund would be made available to national Olympic committees to help refugees.